ZHEJIANG SHINY Auto Parts Co., located in the scenic coastal shore of the 21st Century first sun shine to Wenling. From the Ningbo-Taizhou-Wenzhou Expressway exit is only 30 minutes by car from Wenling railway station 30 minutes by car from the Huangyan airport 40 minutes by car and strategic location, convenient transportation, beautiful environment and pleasant weather. 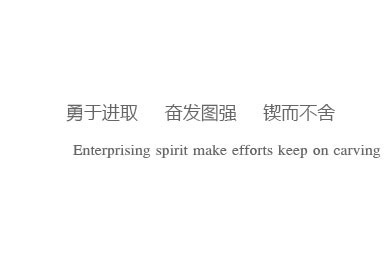 The company was founded in 1982, has always been adhering to the "people-oriented, Founding integrity, innovation, the pursuit of excellence" spirit of enterprise, after 30 years of ups and downs of hard work, from a family-owned small factory into today and even in Taizhou East auto industry renowned medium-sized enterprises. Founded damper Division in 2004, 2007 establishment of the Shanghai branch, the establishment of a research and development center of Zhejiang Forestry and precision processing production base. The company’s total assets of 260 million yuan, covers an area of 95,000 square meters, more than 800 employees, including senior engineers, technicians and professional managers, more than 120 middle-level cadres college education accounted for 87 percent, workshop frontline staff college more than 74%. Increasing scientific personnel structure, it is a comprehensive high-quality, and strong combat effectiveness of the young team. Shenlin Gong Division with forging, stamping, cold extrusion, finishing, heat treatment and other full range of advanced production equipment and testing instruments, the main car engine parts, transmission shift system and the operating system components, FAW-Volkswagen, Shanghai GM , Shanghai Volkswagen, Shanghai Automotive Transmission Co., Volkswagen Transmission (Shanghai) Co., Ltd., Shanghai ZF Transmission Co., GETRAG (Jiangxi) Transmission Co., Timken Wuxi, FAW, Suzhou and Wuxi Bosch Kongsberg and other enterprises sentinel supporting units. Shenlin Gong Division damper Division has an independent development capabilities, has developed a Europe, Japan, Korea and other series models damper over 1500 kinds of products are mainly exported to Europe, America, Southeast Asia and other regions. Shanghai Branch of major R & D centers and precision machinery production base, the main products for the brake housing, large machinery bearing rings and non-standard mechanical precision machining parts. "Customers need is Shen Lin’s needs," our science and technology, the introduction of foreign advanced science and technology to ensure product quality. At present, our company has an annual output of engines, transmissions and other auto parts 3 million sets of automobile shock absorber annual production capacity of 1.5 million level of advanced technology, strong technical force, improve the quality of management. 98 through the Rhine company ISO9002 quality system certification, in 2000 adopted the QS9000, VDA6.1 international tripartite certification, in 2003 adopted the ISO14001 environmental management system certification and ISO9001: 2000 quality system certification, in 2005 by TUV ISO TS16949 system in standardization. While being designated Taizhou Science and Technology Bureau of Taizhou high-tech research and development centers, Wenling City, Quality and Technical Supervision designated Wenling Auto parts testing center, was named Wenling City Star Enterprise, the provincial high-tech enterprises, Shen Lin brand It was rated as Zhejiang famous brand and so on. "Continuous improvement" is Shen Lin’s purpose, "quality first, the customer first" operating philosophy Shen Lin, Shen Lin who will be enterprising, hard work, perseverance grasp Qie era, with domestic and foreign friends dedicated cooperation, join hands in creating tomorrow’s auto industry!